Anxiety is a very common health disorder. Specifically, it is a mental health disorder, affecting at least 40 million adults in the United States. This translates to 18 percent of the country’s population. Unfortunately, many patients do not make any attempt to seek treatment. Recently, there have been an increase in the popularity of alternative therapies. If you experience anxiety, and do not have any flair for conventional treatments, then you may rather try alternative therapies. The main aim of alternative therapy is to enhance and boost your general health, and also offer some relief to the symptoms of anxiety with little to no side effects. Alternative therapies play a vital role in the relief of anxiety. However, the results do not show up immediately. It takes some time. If you have symptoms of anxiety such as a panic attack, then sticking to just alternative therapy will not be enough. The effectiveness of alternative therapy is seen when it is combined with conventional treatments, such as counseling and medication. The best thing you can do before embarking on an alternative treatment regimen, is to consult your physician. A cup of coffee early in the morning may help get you out of bed. However, when you take it in excess, it may give you the jitters and reduce your ability to handle anxiety as well. Taking in too much of caffeine will make your body to act as if it is under severe stress. It makes your heart to beat faster while also increasing your blood pressure. This in the long run results in a panic attack. Many people find solace in nicotine and alcohol. In fact, many people use this to relieve their anxiety symptoms. However, the relief that these substances offer does not last. Alcohol and nicotine worsens the symptoms of anxiety and makes it occur more frequently. Eating a balanced diet is essential for everyone – whether you are experiencing symptoms of anxiety or not. Ensure you eat a wide variety of whole and fresh foods every day. When you eat healthy foods, you feel better. Strictly avoid fast foods, or processed foods, and do not take sweets in excess. You add some stress to your body when you eat unhealthy foods. Because of this, you will not be able to effectively handle other stressor in your life. Fried foods which are difficult to digest, have very little to no nutrients, and contribute greatly to cardiovascular problems. Alcohol causes dehydration and can alter the hormonal balance of the body. Coffee is rich in caffeine. When it is consumed in large quantities, it may cause panic attack sensations, such as tachycardia (a fast heart rate) and also trigger anxiety. Taking in too much of dairy products may increase the level of adrenaline in the body. This can raise your anxiety levels. Taking in too much of refined sugar can trigger symptoms of panic attack and anxiety. 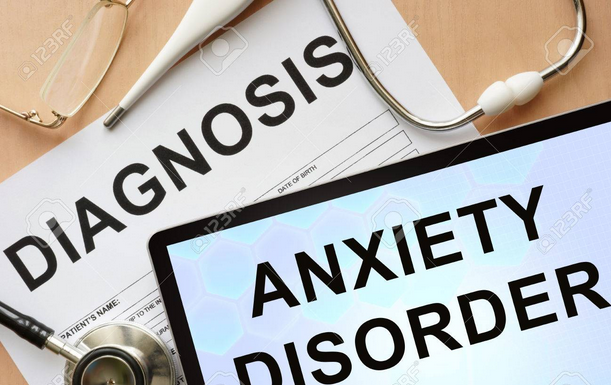 Symptoms of anxiety can also be triggered by foods that accelerate the formation of acids such as pickles, yoghurt, eggs, wine, sour cream and liver. These foods also decrease the level of magnesium in the body. Water makes up 70 percent of your body weight. Water is a very important component of a healthy kind and body, and in many cases, we humans deprive our bodies of it. Taking in at least seven to eight glasses of clean water each day can help our body systems to function at optimal capacity. With this, stress can be relieved. Stress is readily relived by regular exercise. Studies have shown that cardiovascular exercise lowers the level of anxiety and stress, and also boosts the immune system. By cardiovascular exercise, I mean one that can cause your heart rate to beat faster for 30 minutes. When you develop a consistent exercise routine, you can feel better and more in control of your health, and this can also minimize your level of anxiety. Get yourself exposed to the bright light from the sun every morning. Spend quality time outside in the day in natural light. While sleeping at night, ensure that the room is cool and dark. Avoid bright screens at least two hours prior to sleep time. Stress can cause tightening and tension of the muscles. A massage therapy relieves tension in the muscles, and also boosts the flow of blood to important areas of the body to release anxiety and stress. Meditation: meditating is very beneficial and can perform a lot of wonders. Meditation has no effect on your environment, rather, it affects the way you respond to the happenings in your environment. With meditation, you can understand the main cause of your anxiety, and possibly, how to overcome it. Meditation allows your body to relax, and also helps in the treatment of panic disorders and phobias. Meditating involves sitting still in a quiet place while you focus on nothing except the task of breathing deeply. If a thought crosses your mind, acknowledge it, the let go of it. Breathing techniques: With breathing techniques, you learn to control your breathing. With this, you do not hyperventilate in stressful moments, or when you are anxious. This can allow you keep calm. When breathing, sit down with your back straightened. Breathe deeply, and inhale through your nostrils from your abdomen. Get plenty of air into your lungs. This will flood your body with oxygen and ease the tension, making you feel less anxious and short of breath. When your lungs are full, you exhale slowly through your mouth, and then repeat the exercise. Yoga: Yoga combines meditation, stretching and breathing techniques through either stationary or moving postures. According to the Anxiety and Depression Association of America (ADAA), yoga is an important alternative treatment for various disorders including depression and anxiety. When you practice yoga on a regular basis, you feel relaxed easily. You should try enrolling for private yoga lessons, to help ensure that you move through the poses correctly to avoid injury. Acupuncture: The origin of acupuncture can be traced to the Chinese. It plays vital roles in the treatment of depression, anxiety, and a host of health conditions. In acupuncture, the acupuncturist inserts thin and sharp needles into the upper layers of the skin at points in the body that corresponds with different body organs. It is thought that acupuncture works by activating painkillers in the brain, these painkillers occur naturally in the brain. For some persons, acupuncture reduces or eliminates anxiety. Studies are ongoing to investigate the effects of herbs on the treatment of mild to moderate anxiety. Though studies have found some link between a reduction in the symptoms of anxiety and usage of herbs, no strong and reliable evidence exists to back this claim. Before adopting herbal remedies, it is important that you understand the risks and benefits associated with it. Readers are advised to consult their physician before attempting to use any of these supplements. Some of them have severe side effects. Kava for instance causes liver problems. It also has negative interactions with medications that are metabolized by the liver. Valerian causes stomach upset and headaches and may be very unsafe for pregnant women. Always consult your physician before adopting a new treatment regimen. With this, you can drastically reduce the risk of developing complications. If the aim is to feel better, then making these practices a part of your treatment plan will help greatly.